So this hostel is about 1 and a half hours away from the train station (we paid 250-300 kuai or so for a late night cab, forget exactly). You are right at the bottom of one of the mountain entrances though. We stayed three nights and got to see most of the areas on the entire mountain range and also go back into town for the glass bridge and canyon. It's a cool little drive to the hostel and you're in a small town area, with scenic views of the mountains and Chinese countryside. Wendy the owner is lively and awesome. Very helpful, she'll give you maps which honestly were a bit confusing but we found our way around. Anyway she cares to help and we had a great stay. We loved Wendy. She was super helpful and sweet and we enjoyed our time with her. She always offered us oranges and tea. But the location is not the best. It was really hard to get to and while it was close to the park, I felt that staying in Waylingun would have been a better option. The room was cold even with the heater on. Electric blankets helped save the day. The shower took forever to get warm and there was no ventilation. There was food available but as it was the off season choices were limited. If you want to go to Avatar mountain for days in and out, this hotel is the best for you. Because the location is 150m from Yangjiajie ticketing office. But this hotel is not in Wulingyuan. 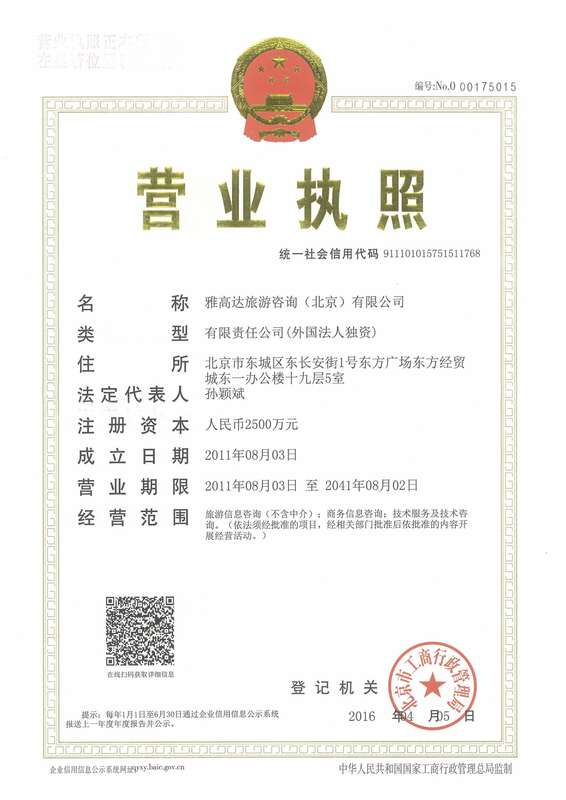 To go to Wulingyuan you need to book taxi around 200 RMB. so please consider your itinerary to choose your hotel to avoid transportation fee. 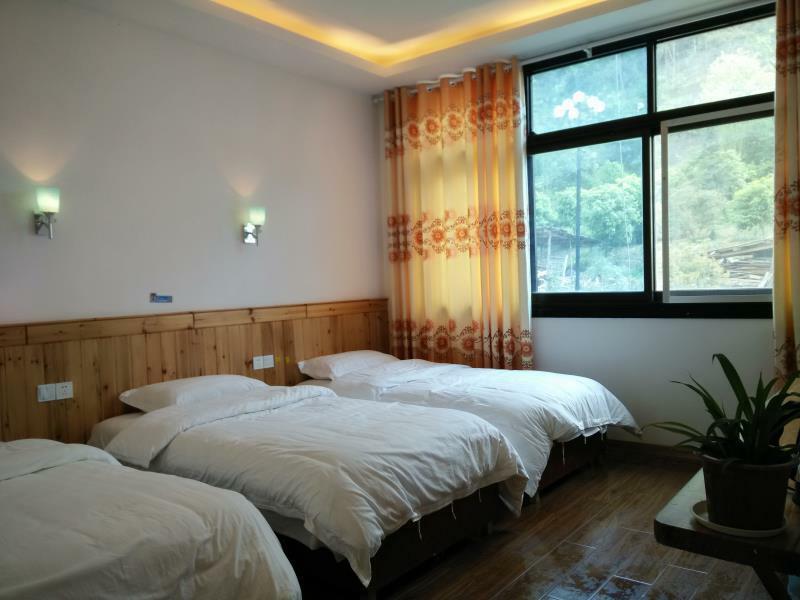 You can choose stay in this hotel 2 days(only for avatar) and stay in others hotel in wulingyuan to save cost. Wendy, the owner is very helpful dan friendly lady. She helped us to arrange our trip, and even invite us to join other group tour to Grand Canyon. You will feel like home here. We are very lucky to meet her in our trip to China this time. Wendy draw the Zangjiajie National Park map at her guest room Wall. This map is very useful than the map RMB 5 you buy from the ticketing office. Just follow her map , and you can go to explore the park without guide. The owner Wendy is a nice woman who is helpfull enough but she speaks badly English. When you want to communicate you have to use a translator. The room we booked supposed to be 40m2 but it was no bigger as 12m2 with a view to the backyard, nearly no nature view :( The room was so dusty that we had to clean it ourself. 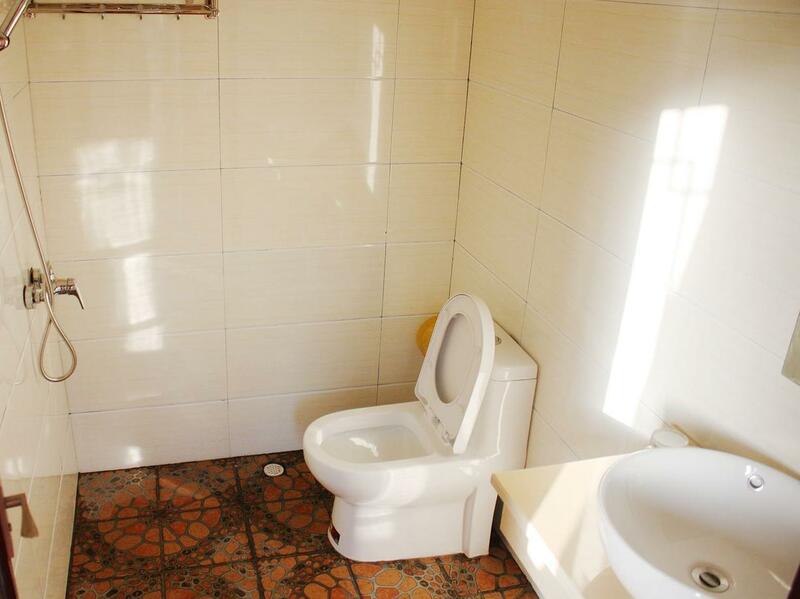 Room size: 40 sq.m. 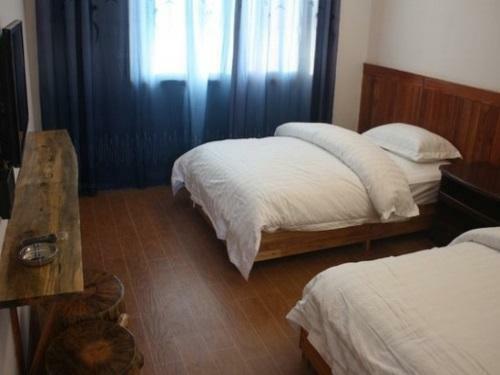 : NO Bed(s): 2 Single Bed : Yes View: Nature : NO And when you are planning to come here be prepared to pay 200 CNY for the transfer from the Airport to the hotel, thats for a one way trip. Wendy the onwer was very helpful and the inn served good food albeit limited choices. I enjoyed my stay here and would recommend this place to anyone who wants to come in for a good time. The park is within walking distance from the inn.. 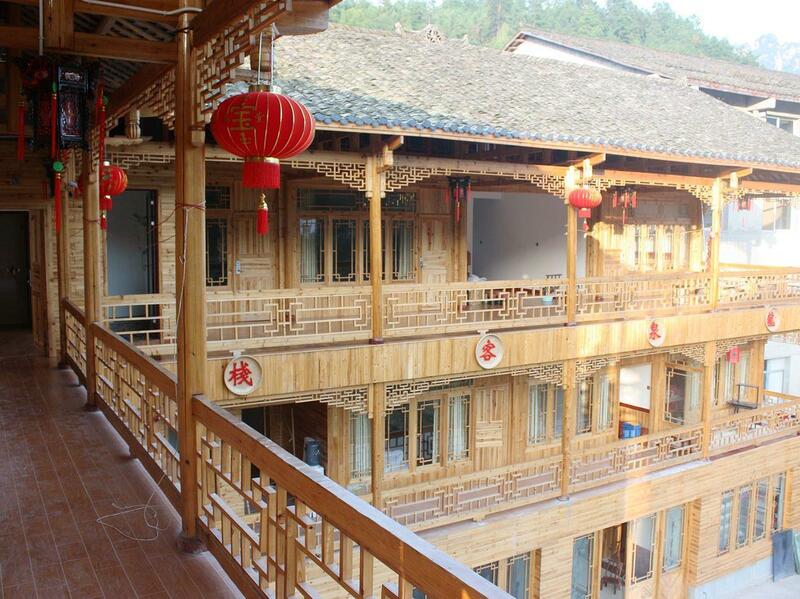 If you are looking for real Chinese lifestyle, this hotel is located in small village of valley. It's kind of far from downtown and not in the main entrance of Zhangjiajie, but it's 2 mins walk to Yangjiajie entrance. The hotel owner is very nice and helpful to show traveling route in Zhangjiajie. She is learning English which should be more useful to foreigner. Very recommend to meet traditional local Chinese lifestyle. Upon arriving at Zhangjiajie airport we were met by Xiao Xiang’s husband, who had a big friendly smile. In spite the lateness of the hour, his driving was very careful and we never felt any anxiety en route. At the Inn we were showed our room and asked if we were hungry or wanted anything to drink even though it would mean that they would have to cook dinner for us at eleven pm. The inn is totally family run, thus it has a very relaxed and friendly atmosphere, the meals are delicious and one can eat anytime and anywhere. It was a pleasure to walk to the village market, buy fresh produce and then come back for breakfast whenever we felt like it instead of having a fixed time. Dinner is also the same, upon our return from hiking they asked when and what we would like to eat, and the portions were generous and the food delicious. One can also request a certain dish in the morning and they happily buy the produce and prepare it for dinner. This same courtesy and friendliness was forwarded to all the guests and everyone was treated in this special manner, one could always hear laughter and the atmosphere is very good. 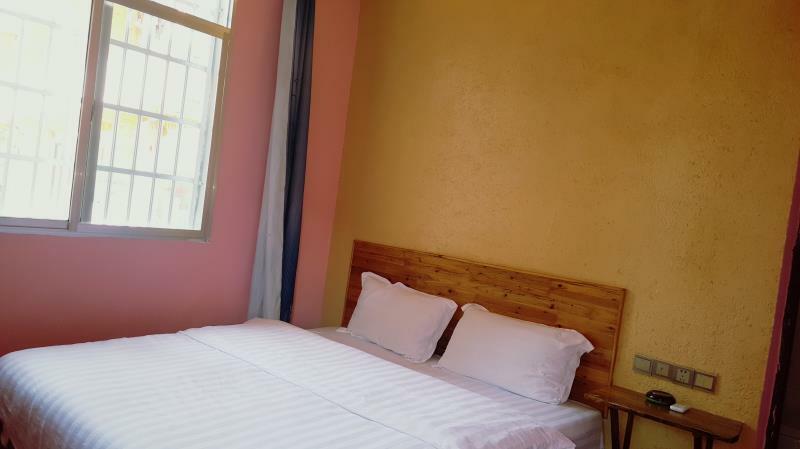 The rooms are clean, cheerful and the beds extremely comfortable and the quality of sleeping is excellent. It is a village life so the village people get up early and one can observe everyone going abot their daily activities starting from the early morning. From the balcony, and the downstairs terrace one can see the mountains, hear the river and enjoy the evening after hiking in the park. 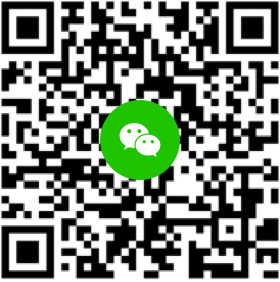 Xiao xiang’s sister is a guide and can take guests around park to see the different parts if they are worried about finding their way around. The Inn is a few minutes’ walk form the park gate, so everything is easily accessible. I would recommend staying there for a real genuine friendly Chinese experience. L hotel est en face de constructions très bruyantes qui commencent dès 6h du matin. Nous avons été accueillis dans notre chambre par une araignée aussi grosse qu un poing! La propreté était très moyenne. Les propriétaires sont aidants mais il faut resyer vigilants car ils cherchent le profit. Sinon l hotel est très bien placé à 100m de l entrée du parc. Pemilik hotel sangat membantu perjalanan wisata kami. Lokasi mudah di jangkau, pemilik sangat membantu dan baik, bersih. 漂亮的酒店。Makan malam dan pagi cukup enak dan murah.